Should leaders run from power or wield it? When you see a phrase like that, do you check out, move on, and think that’s not for me because I’m not a leader? Leadership speaks of power, and especially abuse of power, and many of us have been negatively affected by leaders run amok. But maybe, even if you think you’re not a leader, you should read on. You probably work with leaders. And you might be like me, somewhat afraid of leadership, especially the power part. I sat in a meeting a few years ago where I was confronted about my fear of the use of power. It affected me deeply. A group from Faith Church was visiting our sister church, Kimball Avenue Church, in Chicago. We were there for a week to learn from them what life and ministry is like in their city. Our brothers and sisters at Kimball Avenue have a heart for God’s justice, and for the previous year or so, we were feeling like God was teaching us about this aspect of his heart as well. We were having a bit of difficulty understanding it, though. In suburban, rural, basically well off Lancaster County, it is hard to see injustice. When you do see injustice, it is hard to know what to do. We had joined with Kimball Avenue in a Lenten Compact, fasting for justice, but we sensed that we needed to learn a lot more. So at their pastor, Bruce Ray’s, invitation, a group of 10 of us drove to Chicago to learn from and serve with them. It was an eye-opening week. I’ll never forget sitting in a meeting room of a local bank early in the week. A bank? Yes, a bank. Bruce took us there because he wanted us to see how the finance industry impacts the housing industry. If banks are super strict about lending money, it can be very hard for low-income families to own homes. This particular bank had a great reputation for being willing to help people, despite the severe economic downturn that took place in 2008. There we sat, listening to a lady who worked for a local community justice organization talk about power. She was advocating for the appropriate use of power to enact change for justice. In particular, she was talking about trying to sway politicians. I became very uneasy when she talked about how we can exert power. When I hear the word “politics” I want to run the other way fast. Politics doesn’t change the heart of humans, only God can. And so I expressed my hesitation, talking about how, at best, politics is ineffective, and at worst, abusive. Frankly it seems the abusive part is much more the norm, and I want to run away from that kind of power. It set me back. I thought I was right in wanting to run away from the use of power. I didn’t see myself as a power-hungry pastor. She made a very persuasive case for the righteous use of power, specifically in a community where injustice is being done. And sometimes that means wielding political power. Over the last few five years since I became pastor of the church, I have learned she was right; I’ve seen how I do have power. I don’t say that arrogantly or lightly. The power leaders of the church wield is very precious, very scary, and while it can do severe damage, it can also do amazing good. If fact, it is such a mighty force, that it can be hard to contain, hard to control and use in a wise way. Pastors and leaders in the church have sometimes left behind a trail of brokenness. But that shouldn’t cause people to run away from power. Instead we need to learn how to be better leaders, we need to learn how to use power for good. So how should we use power? Especially in the church, we need to think about this question. In our society there are many ideas out there about the appropriate use of power; some good ideas and some really bad. Steve Jobs famously used a “reality distortion field” (basically he was quite willing to bend the truth to get what he wanted) and is remembered as a somewhat brutal taskmaster. But he achieved great results, so it is okay, right? Should we bulldoze through a situation until we get our way? 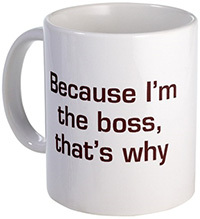 We’re the boss, right? If the church grows, does it matter how we get there? If people become disciples of Christ, is it really so wrong to lie a bit, to manipulate, or exaggerate to get them to step out in faith? In the middle of a long discussion about how the Corinthian disciples had fractured their church through celebrity preacher worship, Paul takes a moment to talk about those celebrity leaders, and any leaders for that matter, and how they should lead. Join us on Sunday to hear what he has to say. We’re going to be studying 1st Corinthians 3:5-17. Check it out ahead of time! Last week I mentioned that the recycling bin at my house is full of milk jugs most weeks. So far this week we have four in there, with another two likely by tomorrow night when we put the bin out for the trash men. I feel like my kids were drinking milk more vigorously this week or something. Maybe they heard my sermon and got freaked out, like we were going to really wean them off milk, and they’re thinking they better get their milk fix while they can. Geesh. But that’s kinda the problem Paul is talking about in this section. This group of Christians who should have moved beyond spiritual milk have not. And he knows it is true because of their behavior. Paul says that their faith is immature because of the quarreling and jealousy in their church. We had a wonderful discussion afterwards in sermon discussion group. What does it mean to go on to maturity? How do allow the Lord to impact our behavior so we actually show that we have been weaned off spiritual milk? 1. Mystery light – I saw this on Sunday, much to my surprise, because I had no idea how this got in my office or why. It’s a pretty cool little light with a hanger that pops out of it’s back and a magnet. I had a hunch how it got in here. I had two people working in my office during the past week. The first was a guy from Comcast who came to replace our modem. I doubted it was his light because he was here early in the week. The other guy was here on Thursday to work on our copier. Thanks to my brother-in-law, we found out about Tech Soup, a company that provides donated software for churches and non-profits. So this week we installed Office 2013 on our computers. Unfortunately, after the install, our secretary’s computer stopped printing to the copier, which led to the service call. I asked my secretary if he knew anything about the light and sure enough, it was the copier tech’s. Maybe he wanted me to have it? 2. Projector, cords, and computer speakers – We have a lot of techy gadgets at the church, and the spare projector is not normally sitting on my counter as it was when I walked into my office on Sunday. The reason is that we hosted the Lafayette Fire Company appreciation banquet on Saturday. A bunch of people from Faith Church gave a lot of donations and time and energy to pull off what one Fire Co wife told me was “the best banquet they ever had”! I’m thankful for the Fire Co., the relationship we have with them, and for the people of Faith Church who arranged the banquet. At one point during the program, they used our projector to show pictures and video. Since it is a $5000 piece of equipment, we normally store in my office cabinet for safekeeping. And now you all know that! 3. Membership Application – I was surprised, but pleased to see this, as a couple from the church is applying to be members. I’m thrilled that they are taking that step. When I think of membership, I have to admit a bit of a quandary in my mind. The Bible never speaks about a formal process of membership such as we utilize. As I look back over the little bit of church history that I know, I can think of abuses of formal membership processes. I wonder if it would be better to have shorter-term covenants? I do think it can be very helpful for people to have a public way of declaring their intent to join a local church family and be committed. What if people would make a covenant to a local church for a year, then have the opportunity to renew their vows annually? Interested in your thoughts on that. 4. The Insanity of God by Nik Ripken – I just finished reading this book, and because I referred to it in a recent sermon, I was the one who left it in my office. I was challenged and encouraged by Ripken’s stories of God at work among persecuted Christians around the world. These disciples of Jesus, in places like the former USSR, China and Muslim areas are imprisoned, beaten, and yet they demonstrate maturity in faith. What concerns me is that our freedom, as wonderful as it is, along with our affluency, has led to a less-than-passionate faith in Christ. Would you agree? Now it’s time for me to clean up! 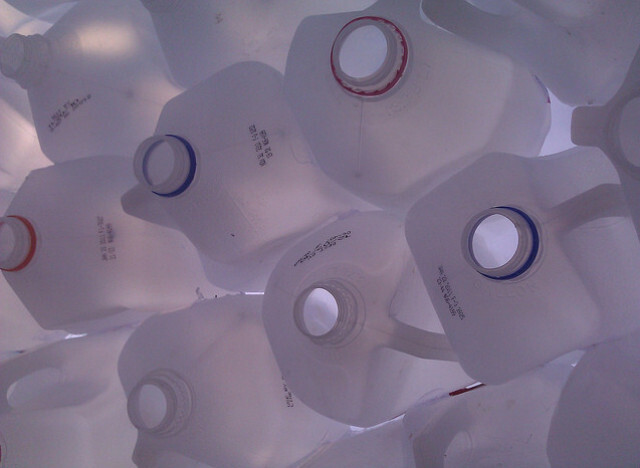 Is your recycling bin always full of milk jugs? The Kime household consistently knocks back 6-8 gallons of milk per week. Think about that a minute. Even if we average 5 gallons per week, and the price per gallon of milk is $3.50, you do the math. Now multiply that by four weeks in a month. Yeah, that’s not chump change. We joke around a lot about buying a cow. In December the Farm Bill had us a bit uneasy. Guess how we felt this week when we read this? Red Alert! Doomsday. Armageddon. Pray for rain in California! Or how about weening the kids off milk??? I’m glad they love milk, as it is healthy. I personally love milk on my cereal, which is my normal breakfast a couple mornings each week. The kids, though, don’t put milk on their cereal! Instead they drink milk at meals, before meals, after meals, and pretty much all day long. 60 cents more for every gallon? It has to stop! So this milk price increase and weening the kids off milk, gets me thinking about the maturation process a child goes through. From mother’s milk or formula to regular milk to solid foods. They can’t survive on just milk, can they? We ween them so they can grow and mature with healthy nutrition. Can you imagine a baby that never, ever progressed beyond breast milk or formula? Is that even possible? As Paul continues his teaching in 1st Corinthians, he uses the imagery of an infant drinking milk that has not moved on to solid food. How does that relate to the followers of Jesus in the church at Corinth? What is his point? Join on Sunday as we study 1 Corinthians 3:1-4; 18-23 to hear what Paul has to say! 1. 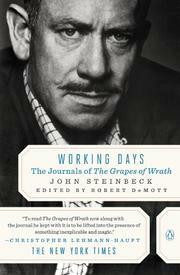 A copy of John Steinbeck’s Journals that he kept while writing The Grapes of Wrath. I let someone borrow it (I can’t remember who), and they secretly returned it! (Thank you!) I love reading and books, and I also love loaning them out. Most of my books sit unused on my shelves, so it’s great when someone can use them. Yesterday I mentioned The Screwtape Letters in sermon discussion, and afterward one person asked to borrow it…and I couldn’t find it! I suppose I’ll just have to get another copy. Thank you, Faith Church, for putting a continuing education fund in the budget so I can buy books! And a quick word about Steinbeck’s GoW Journals. He is my favorite author, so it is a treat to read what was going on behind the scenes in his mind, in his life when he wrote one of the greatest pieces of American Lit. So if you are going to write the next great American novel, keep a journal at the same time! 2. Home-made card. I’ll admit, this was partially a plant. My daughter gave me a super-cool card she made, and I brought it from home to keep in my office. It was a special card, and displaying it in my office is a way I can show her how much I appreciate it. 3. Family Night Schedule. This was a surprising find in my office, and I actually wonder if it got here by mistake. Faith Church Family Nights happen six times each year, on the first Wednesday evening of six months. Groups within the church take turns making the meal, and afterwards we have a program. Often the programs are presentations by someone in our church family who went on a recent mission trip. In March one of our ladies will be talking about a trip she took to Boone, North Carolina, to work with Operation Christmas Child, the shoebox outreach. At Christmas, people fill shoeboxes with items and toys to help kids in developing lands. I love Family Night because it’s great spending time with our church family and hearing about what God is up to! 4. Humilitas. I thank my friend Joseph Rahm for this recommendation. It’s a great little book about the “lost key to life, love and leadership”. (Read the intro here.) Maybe you can tell by the title what the lost key is. Humility! When is the last time that you thought about humility as the essential trait of leaders? Dickson does an amazing job making his point, and I recommend the book highly. We’re using it at Faith Church for our first ever Leadership Gym, which is a small group of potential leaders. In six sessions (twice/month) we’ll work through the book, and then develop an individualized plan for each participant, teaming them up with leader-mentors in the church. Our desire is to raise up leaders. We had our first meeting last night, and it was fun! We met at Conestoga Valley Christian Community Services, the local food and clothing bank, started by the churches of the CV Ministerium. After taking a tour of the facility, we discussed the first couple chapters. Dickson is very thought-provoking and on target: leaders simply must be humble. 5. A pair of gloves. That was my fault…I wore them here Sunday morning and forgot to bring them home. Whew…it has been a long, cold, snowy winter here in Lancaster! The snow sure has been beautiful, but I’ll admit I’m looking forward to putting those gloves away for Spring. Have you found wisdom? Have you asked for it? Lucille Ball thought it was hard to come by. 2 Kings 3 tells the story, in the days after Solomon ascended to the throne of his father David, of the Lord coming to Solomon in dream telling Solomon he would give Solomon whatever he wished. He could have chosen riches or power, but Solomon famously chose wisdom. So God gave him wisdom, and the riches, power and fame followed abundantly. How many of us wish God would answer our James 1:5 prayers like he answered Solomon’s? Wisdom is a confusing thing. Does it come by experience? Age? Failure? Or maybe some people just have a larger dose of wisdom? Is it IQ? Is it education? Is it intellectual giftedness? A combination of all these? Perhaps wisdom comes in different forms and different means. Knowing that a tomato is a fruit, yet having the wisdom not to put it into a fruit salad. Seems there’s many pathways to wisdom. In our ongoing study of 1st Corinthians, we’re going to study 2:6-16 in which Paul discusses how we find wisdom, as well as the various kinds of wisdom. How have you found wisdom?